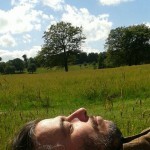 Dr. Mark Pilkington » MANTIS 2011 – MANCHESTER’S SONIC META-ONTOLOGY PROJECT (PART ONE). MANTIS 2011 – MANCHESTER’S SONIC META-ONTOLOGY PROJECT (PART ONE). ‘Peterloo’ world premiere will feature in Manchester’s Sonic Meta-Ontology Project (Part One). MANTIS Sonic Meta-ontology encapsulates a number or newly created compositions, sonic events and ambisonics field-recording trips across the City of Manchester and the North West. The project will be showcased in two parts (5th March 2011 and 10th June 2011) in the form of concert events and experimental laboratories at Manchester University. It will also have alternative outcomes in other venues in town. ‘Manchester’s Sonic Meta-ontology’ will explore whether there is really such thing as a ‘Manchester sound’ and if so, what is it, can we experience it, and can we understand it? Substantive empirical investigation will be in partnership will local agents and artists in the region, which will look into the creation, identity, and survival of the real truth of Manchester’s Sound.